Get in touch with the latest and state-of-the-art mobile technology, with Sony Xperia Mobiles. Almost all the Sony Xperia phones, get staged in here; right from the moderately priced smartphones to the top-notch smartphones. Infibeam's this very store is sorted well, to match up with your requirement & taste! 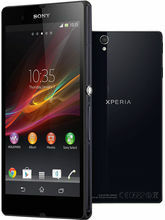 Sony Xperia Mobiles is one of the most prominent brands in India. They have established themselves as a value leader across various products from electronics categories. Sony Xperia phones has a reputation for new age technology and digital concepts. They are committed to ensure that their products make a distinctive mark to people's lifestyles and offer them a worthwhile experience. Sony Xperia mobiles are the new age smartphones that will leave you in an awe. With Sony's upcoming phones like Sony Xperia L1, Sony Xperia XZ1 Compact, Sony Xperia E5 Dual, Sony Xperia Z5 Compact, Sony Xperia A4, Sony Xperia E5, Sony Xperia XA 2017, Sony Xperia XA1 Ultra you just can't get over the craze of owning a new innovation. Exploring the stores gets fun and convenient, with the alluring Sony mobile prices. Sleek & Stylish design of the phones, goes well with your vogue personality!